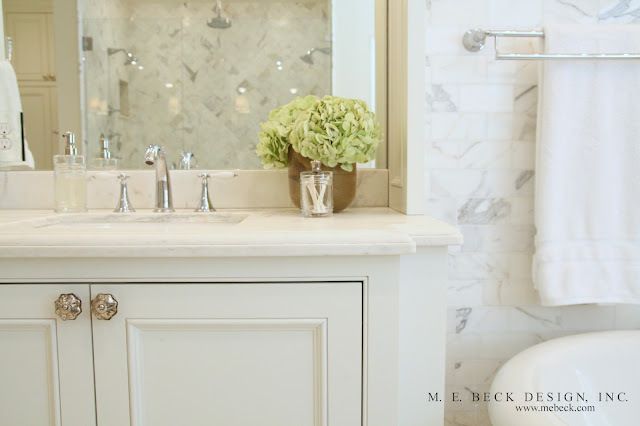 Just a little sneak peek of one of my favorite bathrooms I have ever designed. This project has been complete for quite some time but I just recently got around to having it photographed. Such is life! It's a beauty and pretty much every single thing I would want in my dream bath. *le sigh* I'll be back soon with a full post. 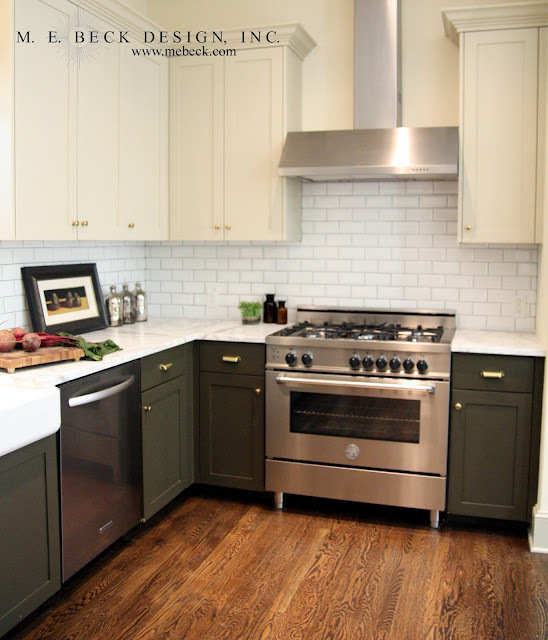 This vintage inspired kitchen is in an adorable home in the coveted Alamo Heights neighborhood of San Antonio. 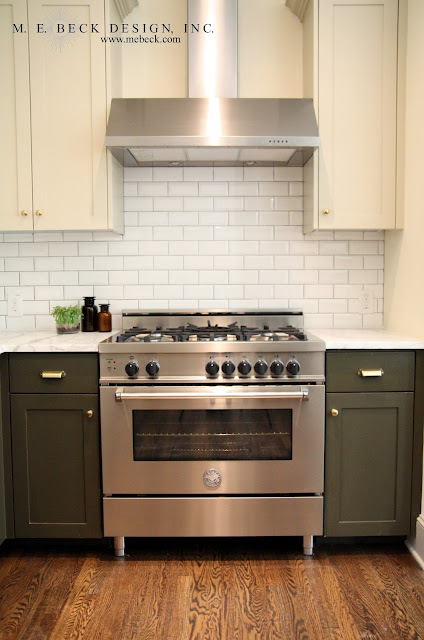 I collaborated with one of my favorite home builders on this project and I love, love, love how it turned out! Alamo Heights is an older, established neighborhood, and even though this home is new construction, I wanted it to feel like it had been in the neighborhood for decades. 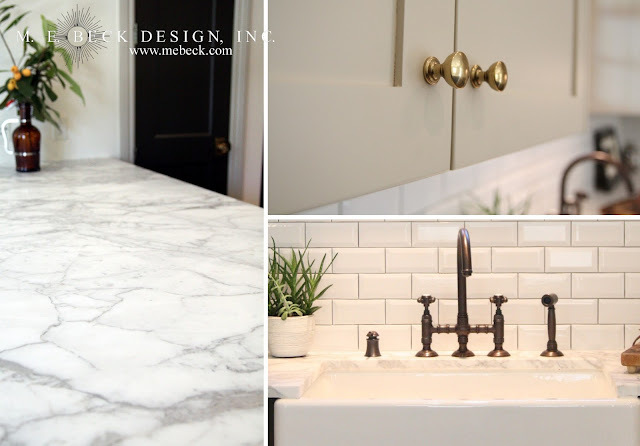 Isn't that slab of Calacatta marble amazing?!! 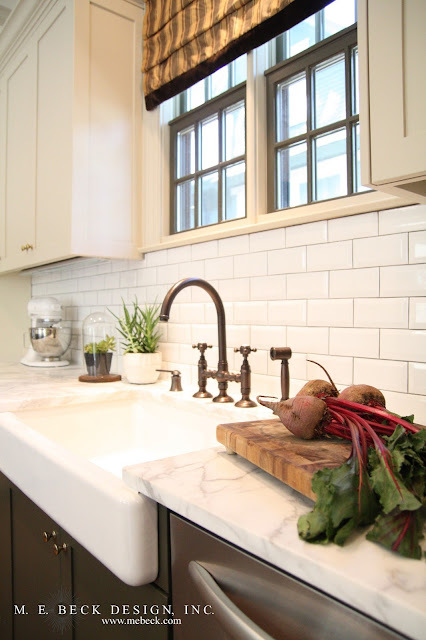 I love the yummy Rohl faucet in vintage bronze too! I opted for marbles, tiles, paint colors and finishes that are indicative of the era that most of the homes in the neighborhood were built in. 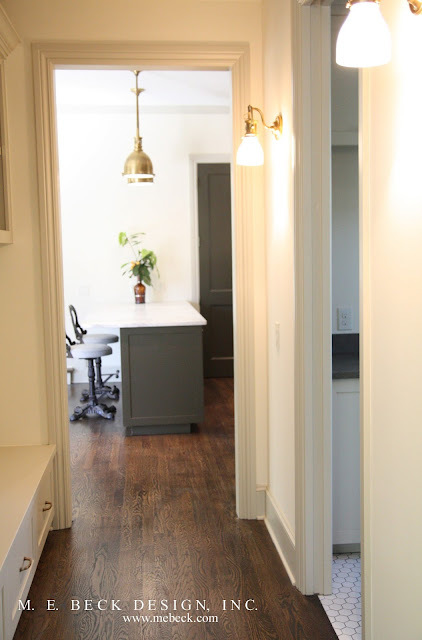 All of the hardware and light fixtures throughout the home are antique brass. This whole home is completely adorable! I'll try to get the rest of the photos up on here as soon as I can. You can see a peek of the cute hexagon floor I used in the utility room in the image above. It's darling!